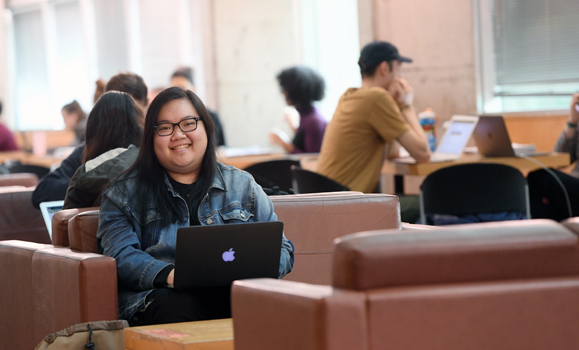 Computer Science student Alicia Wong came to Dal to challenge herself. By choosing a university clear across the country from her Vancouver home, she’d have a chance to test her independence. And studying Computer Science was a new direction for her as well. “Through high school there weren’t a lot of tech programs,” she says. “I did like math a lot. And I was told that the logic that I used in math would be applied in computer science and that's what really interested me. I love the problem-solving aspect of math and when they told me I could do it for computers, that sounded really interesting. It wasn’t the first time Alicia crossed the country from Vancouver to Halifax. In grade 11, she came to campus for SHAD camp, a one-month program for high school students focused on science, technology, engineering, arts and math. 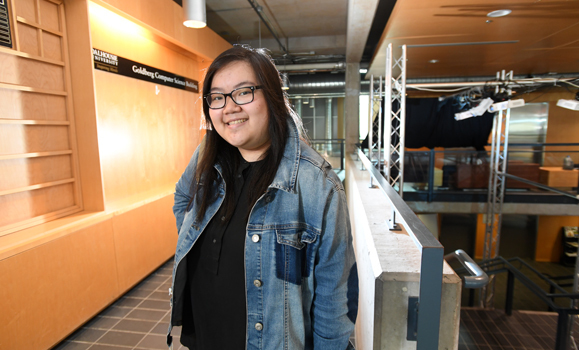 “Because of SHAD, my mom told me to apply to Dal because I'd been to the campus and they felt better about me going to a place I'd been before. The fact that I somewhat knew the city and how things work here, was good,” she admits. Though it was somewhat familiar, Halifax was far away from her friends and family and the comfort zone she enjoyed at home. Alicia quickly realized she’d need to create new relationships to ensure her success. Alicia is now President of the Dal WiTS, which is committed to increasing diversity and student engagement in technological fields — and to ensuring female-identifying students have the support they need to accomplish their goals. WiTS is also eager to expose students to the breadth of technology careers. Alicia says it can be difficult to find your passion in first year; you’re often just trying to get immersed in a new subject. But she believes highlighting the many possibilities is key to keeping students interested. Alicia is a great example of finding a path unique to her interests. Before she chose to major in Computer Science she was considering Management, so she’s added a minor to her degree to ensure she learns those skills. One day she’d like to be a manager in the technology industry. Her goals have been invigorated by her experience in the co-op option. Alicia says her co-op terms are really adding depth to what she’s learning. And it gives her an opportunity to discover and explore the work that’s a good fit for her.